Who will look after your farm in the event of a sickness or accident? AgriLand caught up with Farm Relief Services (FRS), where this month it announced it has increased sickness and accident support of 12 weeks as the membership scheme marks its one-year anniversary. According to FRS, this is a good benefit to its farming members as it arranges a relief worker straight to the farm to cover the work in the event of any sickness or accident supported by a doctor’s cert. 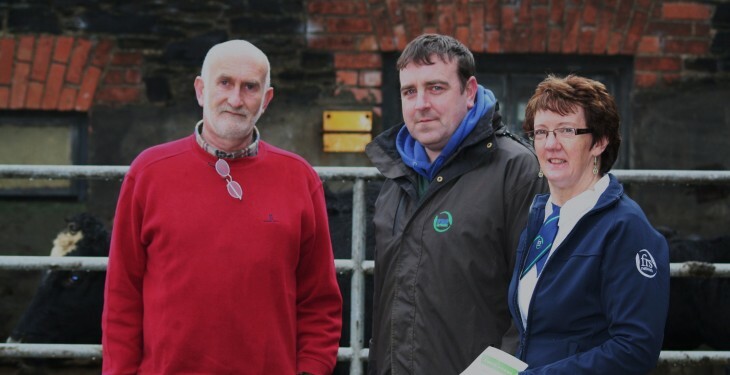 It said FRS made a commitment last year to review the number of weeks covered under its membership benefit scheme and is now delivering increased Sickness and Accident Support from eight weeks to 12 weeks at no extra cost – giving farmers that extra security blanket. According to FRS, the sickness and accident support entitles members to the services of an experienced FRS operator for up to 12 weeks at only 25 per cent of the regular cost (75 per cent off). Maximum benefit is €500 per week, first week is excluded and must be paid by the member, it said. The membership also gives better value farm services rates with top priority given to members and a death and capital benefit of up to €20,000, it added. Four farmers who needed to claim under their sickness and accident support last year tell their stories about how FRS worked for them, while they concentrated on their recovery. “Hearing the farmer’s stories reinforced with us the importance of offering this benefit to our members. The savings that the farmers made on their labour needs were just one side of it, with the more significant side being that they could concentrate on recovering as they were confident that our operators would look after the farm. Having a trained reliable operator ready to step in when required is what the farmer needs and is what FRS is all about. This peace of mind is what we are here to deliver,” said Peter Byrne, CEO of FRS Network. Malcolm Fennell has been using FRS for over 22 years. He runs a 60 plus dairy herd in Redcross, Co Wicklow and normally uses the FRS relief milking service to get away on holidays. Fortunately for Malcolm he joined the FRS Membership Benefit Scheme in early 2013 as last August he needed to call FRS in to look after the farm while he recovered from a shoulder operation. As a member of the FRS Membership Benefit Scheme he got eight weeks cover which only cost him 25 per cent of the normal rate. That saved Malcolm over €3,000 during his recovery period. “I hurt my shoulder last spring and needed an operation. I rang Kathleen in Farm Relief for help and she organised everything. I got a relief milker in and my membership covered me for eight weeks,” he explained. Malcolm continued to use Pierce as his relief milker after the eight weeks to ensure that he didn’t go back too early and hinder his healing, which was a wise move. The increased cover to 12 weeks now gives farmers such as Malcolm that extra security blanket. Pictured: Liam O’Rouke, FRS Limerick (right) pictured visiting John Hannon (left) on his return to the farm after a hand injury. 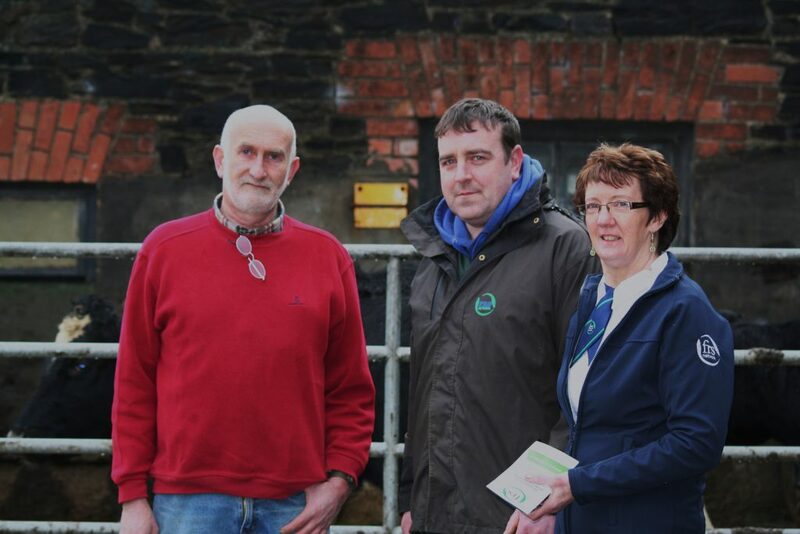 During his recovery FRS looked after the milkings and farm work, while John could give time to the healing of his injury and as an FRS member John saved over €2,000 during his recovery period. 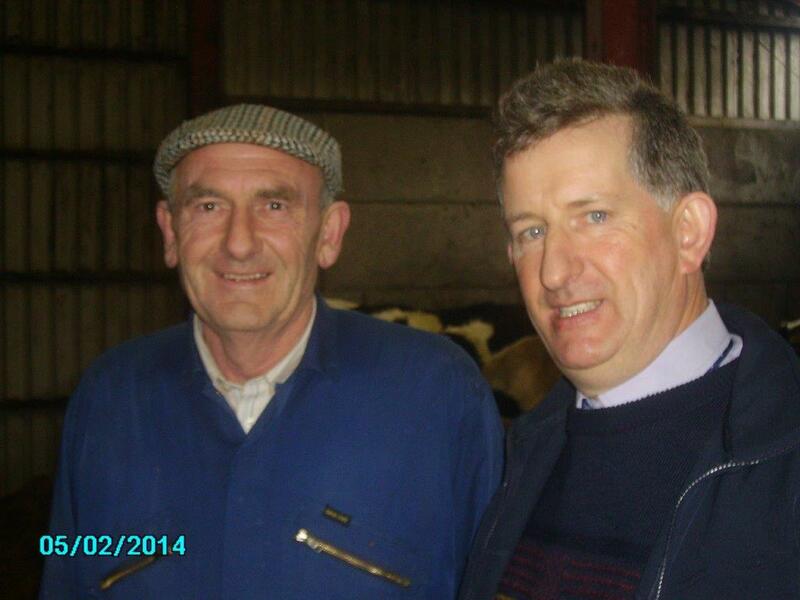 John Hannon is milking 60 cows in Finniterstown, Adare, Co Limerick and has a calf to beef enterprise. He is married with three grown children and has been with the FRS for over 20 years. “I thought I was invincible, but in the blink of an eye I wasn’t able to work my farm and milk the cows. On the 9 October I was working on the farm and I hurt my hand. I put water and ice on it and when I went back out I realised that I had more harm done and went to AE to find out that my hand was actually broken. I rang Liam in Farm Relief and a milker was out to my farm the very next morning,” he explained. “The two FRS men I had milking for me were absolutely fantastic. Conor Madigan did the milkings during the week and Eddie Houlihan at the weekends. All I could do was walk around giving instructions, but I didn’t really need to do that as they worked away without a bother themselves.